Cristina Barbuto says state law should protect workers who use medical marijuana with a doctor’s certificate. Cristina Barbuto was thrilled when she landed her new marketing job last year. Her delight quickly evaporated when she was fired after her first day because a drug test revealed marijuana use. She lost her job even though she’d disclosed during her interview that she takes the drug, with a doctor’s legal permission, to ease the symptoms of a digestive disorder. Now, the 34-year-old Brewster woman is fighting for her right to use medical marijuana at home and not be fired for it. 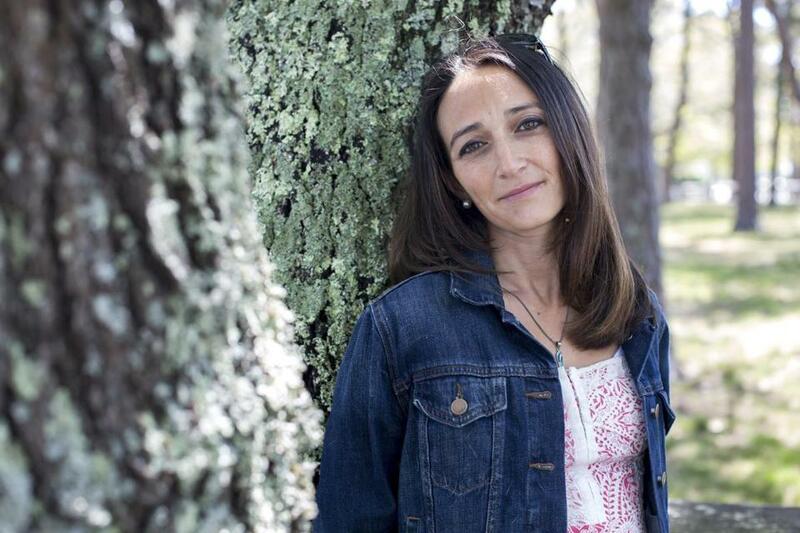 Her lawyers on Friday filed a complaint with the Massachusetts Commission Against Discrimination over her termination — a case that is believed to be the first of its kind in the state involving marijuana and employment, an agency spokesman said. With marijuana now legal for medical use in Massachusetts and 22 other states and the District of Columbia, the question of how workplaces deal with such use — especially drug screening tests for employment — has become a thorny, and far from settled, issue. Because marijuana is still prohibited under federal law, states are left to craft their own rules, and employers have been caught in a legal morass. Two Massachusetts law firms have joined forces to advocate for Barbuto’s case — one that specializes in employment law, the other in emerging marijuana issues. “We have gotten a spike in these types of calls,” said Adam Fine, whose Boston firm, Vicente Sederberg, is known for helping businesses win licenses to open marijuana dispensaries. Fine’s office recently received a call similar to Barbuto’s from a worker fired from a Massachusetts casino company after a drug screening test. Matthew Fogelman, whose Newton law firm handles discrimination lawsuits, said the state’s 2012 medical marijuana law prohibits employers from firing workers such as Barbuto who have legally obtained a doctor’s certification to use marijuana for health reasons. “As long as it is not affecting that person’s ability to perform their job, then it should be protected, and that person should not suffer adverse consequences,” said Fogelman, who teamed with Fine on Barbuto’s case. Barbuto said she was diagnosed with Crohn’s disease in 2011, an illness that often robs a patient’s appetite. Because she rarely feels hungry, Barbuto struggles to maintain a healthy weight, and traditional medicines have not helped, she said. So she smokes a small amount of marijuana before meals a couple of times a week, she said, to spur her appetite, but not enough to make her feel high. Barbuto’s marijuana use had not been a workplace issue before, because she had been working freelance. She loved working in marketing, but thought her old job lacked opportunities to advance. So when a recruiter told her about a position at Advantage Sales and Marketing in September 2014, Barbuto applied. Barbuto told the man who became her boss that she would test positive for marijuana on the company’s drug test because of her medical use, according to the complaint. She was told that would not be an issue, the complaint states, and was hired. The first day went well and Barbuto was excited about the future as she described her day to her boyfriend that night. It was Joanne Meredith Villaruz, the company’s human resources representative, calling to say Barbuto was being fired for testing positive for marijuana, according to the complaint. When Barbuto questioned the termination, noting the state’s medical marijuana law and her doctor’s certificate, Villaruz told her, “We follow federal law, not state law,” the complaint said. Villaruz, who has since left the company, declined to comment in an e-mail Friday and referred questions to Advantage Sales and Marketing’s headquarters in California. Barbuto’s complaint names both Villaruz and Advantage. Tania King, Advantage’s chief legal officer, did not return calls and an e-mail. Beyond that, rules get murky. A handful of states, such as Arizona, Delaware, and Minnesota, prohibit employers from firing an employee for a positive marijuana drug test if the employee holds a valid state-issued card allowing the drug for medical use, said John DiNome, a Pennsylvania attorney who specializes in labor law at Reed Smith LLP, and who is not involved in Barbuto’s case. Massachusetts law is silent on this issue. Other states that have legalized medical marijuana, such as California and Oregon, allow employers to fire workers, even if they hold a valid marijuana card, DiNome said. And then there are companies that hew to federal rules on marijuana regardless of state marijuana laws. “And the employee is sitting there saying, ‘Wait, state law says I can use legally,’ ” DiNome said. Barbuto and her lawyers said they hope their case will add clarity — and protections — for Massachusetts patients.